The elegant JBJ NanoCube offers panoramic viewing with smooth rounded glass corners with the necessary filtration, lighting, and circulation for a thriving mini-reef or freshwater aquarium. - Panoramic viewing & smooth rounded corners. 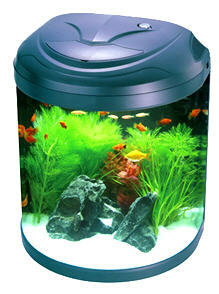 Offers the ideal dimensions for mini-reef and planted aquariums that require depth for rock stacking and planting. - Built-In 3 stage wet dry filtration system: the Nano Cube's discreet filtration system is hidden and provides maximum space for tank inhabitants. - Mechanical - filter sponge will trap detritus and free floating particulate matter. - Chemical - Activated carbon bag removes dissolved organics and odor. - Biological - Ceramic rings & Bio-balls provide the ideal environment for beneficial bacteria keeping your freshwater or saltwater fish tank in a healthy state. - The JBJ Nano Cube comes with Built-In Dual Cooling Fans depending on the model. - Built-In cooling fans that provide plenty of cooling while remaining quiet! - Both fans automatically turn on with the power compact lighting. - Fans are protected with a special splash guard to resist saltwater corrosion and salt creep. - The Submersible Powerhead includes a pump for water circulation. - JBJ Nano Cube comes complete with a true Watt Power Compact (PC) Lighting System. 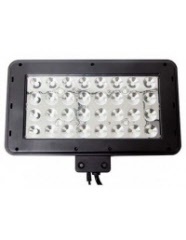 - Installed with a splash guard for the PC bulb and ballast protection. Provides 3x the performance of traditional fluorescent bulbs. The JBJ Nanocube Power Compacts provide maximum light output with the least amount of heat production while being very efficient. - The Flip Top Aquarium Canopy can be flipped back and held in place for easy access for tank cleaning and feeding. The Nanocube is designed for extra heat output, with 4 engineered vents for cooler operation for your freshwater or saltwater fish. My 3 year old 24 jbj. stock lighting, hammer coral, pulsing xyena that I fragged, various mushrooms, snails, a true percula clown, blenny, and sometimes you can actually see a strawberry crab. 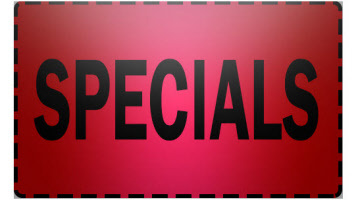 Hey fish lovers, we have the best deals on JBJ Aquariums and Tanks.